Transparent OPP Card Head Plastic Bags are generally highly transparent, easy to fully display the products in the sale, so card head bags are usually used as commodity sales packaging, both play a protective role, but also play a beautifying role. Color OPP card head Plastic Bags are rich in color and can be produced according to needs. The card head bag is usually made of OPP, and some high-grade head bags are made of OPP/CPP composite. The Thickened OPP Card Head Plastic Bag is blow molded, non-toxic and feels like wax. It has low temperature resistance and is not resistant to oxidizing acids. Environmental protection OPP card head plastic bags are environmentally friendly and beautiful, chemical stability is good, can resist most of the acid and alkali erosion; but polyethylene is very sensitive to environmental stress (chemical and mechanical interaction), poor heat aging resistance. The size, thickness and LOGO customizable plastic bags of medium-sized OPP card head plastic bags have been widely used in electronic, stationery, tableware, socks and other fields of sales and packaging. In addition, we also have other styles of plastic bags, such as PE Bone Plastic Bags, PE Organ Plastic Bags, Anti-static Plastic Bags. Looking for ideal Thickened Opp card head plastic bag Manufacturer & supplier ? We have a wide selection at great prices to help you get creative. All the Color OPP Card Head Plastic Bags are quality guaranteed. 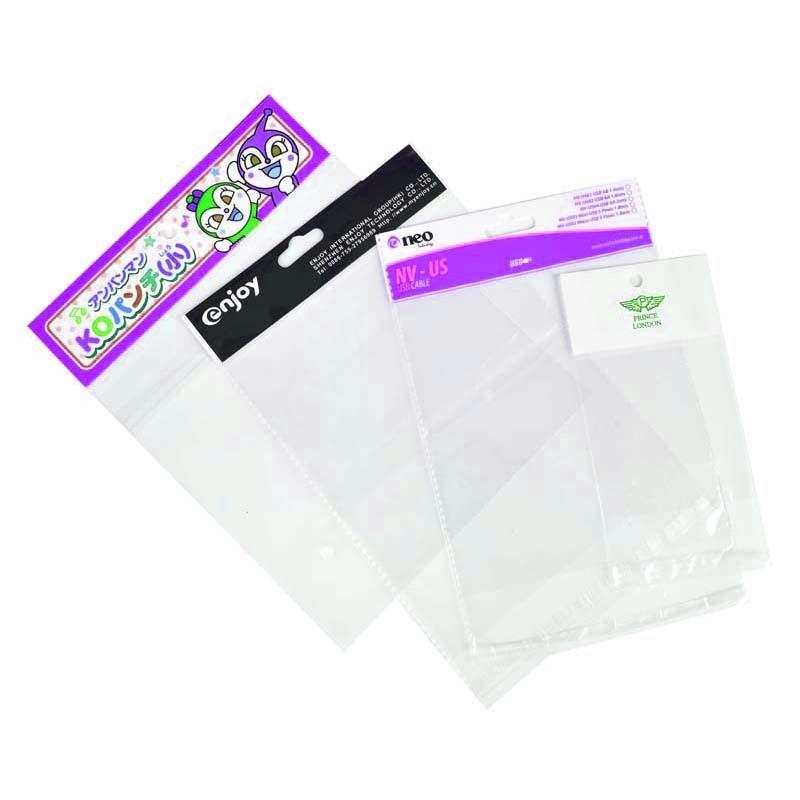 We are China Origin Factory of Transparent OPP Card Head Plastic Bags. If you have any question, please feel free to contact us.